Wisconsin Pet Care is the Highest awarded and rated Dog Walking and Pet Sitting service for the city of Brookfield. Located about 10 miles west of Milwaukee, in Waukesha County, Brookfield is home to gorgeous mansions as well as sprawling ranches. 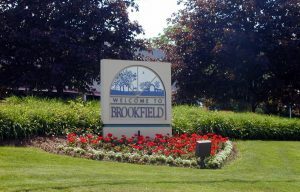 With a lively retail community, and a neighborhood feeling, Brookfield is one of the dog friendliest places in the Waukesha area with zip codes including 53005, 53008, 53045, 53072. Our Brookfield Dog Walkers and Pet Sitters will come and visit your home while you are away at the office or while you are enjoying a much needed vacation. Why choose Wisconsin Pet Care? We are not only pet lovers, but animal activists who deeply care for animals in our everyday lives. All of us are pet owners, the majority of us have rescued dogs and adopted cats, and know how much love and care they need. Plus – the majority of the team comes from the pet industry prior to joining Wisconsin Pet Care. 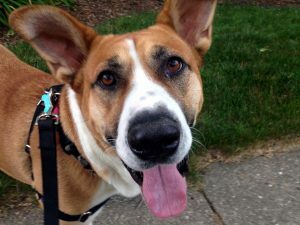 Ready to Book your Dog Walking or Pet Sitting in Brookfield WI? As Winter is behind us, April weather makes dog walking in Brookfield, Milwaukee comfortable for all of us.